If the book title leads you to expect a bunch of lists, this ain’t it. Thank goodness, too, because lists are easy compared to a full-sweep overview. 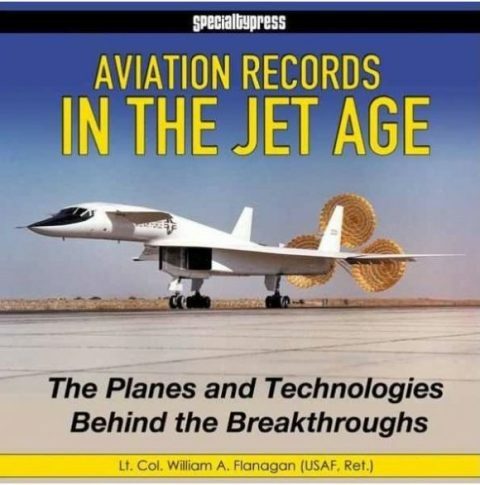 As an RSO on the triplesonic Blackbird, Lt. Col. “Flaps” Flanagan has his own place in that history of stretching the envelope, not least by logging some unscheduled supersonic glider time thanks to his engines flaming out. 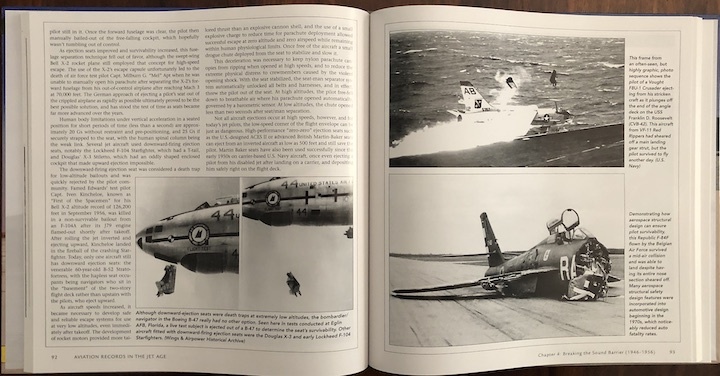 And in a twist that would delight any historically minded person, his personal life in aviation is neatly bookended by collecting in childhood a cherished trading card of the Northrop YB-49 Flying Wing and ending it as a Northrop flight tester on the Stealth Bomber. Moreover, Flanagan studied aeronautical engineering before he even joined the Air Forces so he can encircle this subject on multiple fronts. 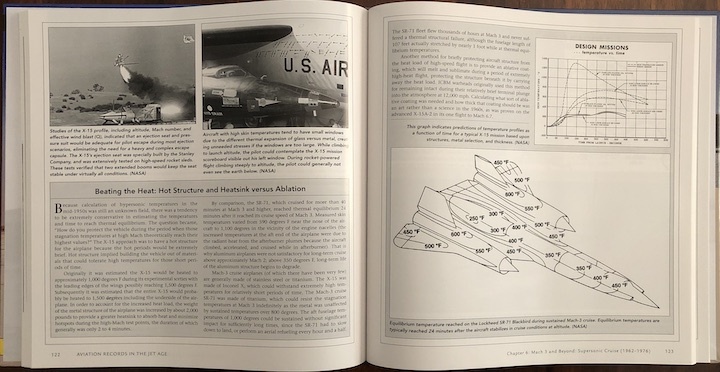 Speaking of the title, the book does begin with the early, prop days (Wright, Curtiss et al) before zeroing in on jets and even then will continue to make reference to prop aircraft not least in the form of testbeds or support aircraft. 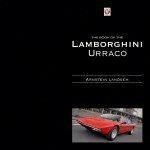 No book can be all things to all people and this book is an engaging and competent but selective look. 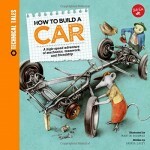 Consider the page to illustration ratio (192:275) and you see how the book is going to go about its business. 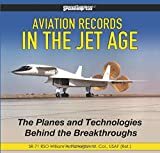 It begins with something fundamental—which you won’t find in other books on records: how planned attempts are conducted and certified (some are accidental, but there’s a procedure for that too). It is just one of many analogies to the world of the automobile that the certifying body, the FAI which evolved from a confederation of national automobile clubs, started just as soon as flying became an intentional, repeatable activity. Non-US efforts are considered as well, with the groundbreaking WWII German activities factoring prominently. An early photo in the book shows a pig in the cockpit—“when pigs fly”—to make the point that flying was regarded as an altogether implausible affair. It boggles the mind to be shown here by what a factor aeronautical development advanced. Higher, faster, farther—in a mere 49 years we went from the first speed record at 100.23 mph to 4,093. 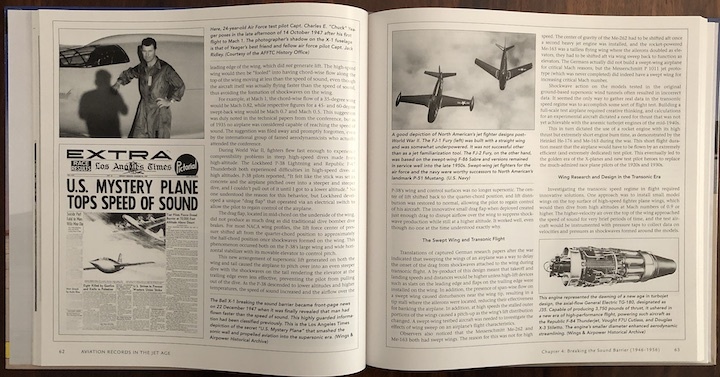 Cleverly, Flanagan doesn’t just dispense timelines but introduces the reader to the theoretical underpinnings of flight. This takes the form of sidebars that explain basics such as weight/lift v drag/thrust, or pressurization, or heatsink v ablation. These things may not have day-to-day application for the nonflyer but being offered here in such a highly relatable form will make the reader smarter with minimal effort! 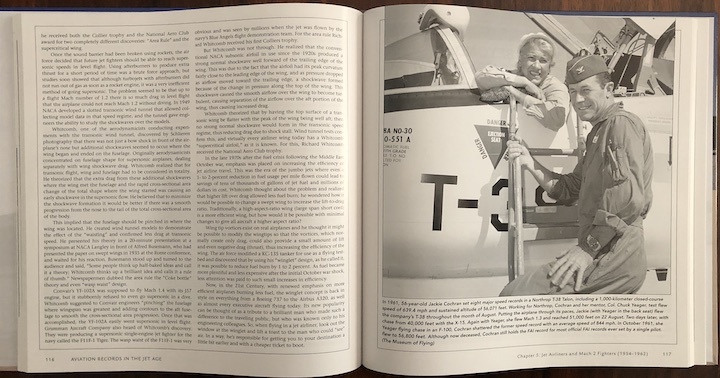 Pretty much any aviation book you pick up after this one, or, for that matter any commercial flight you take, you’ll now know what happens and why. 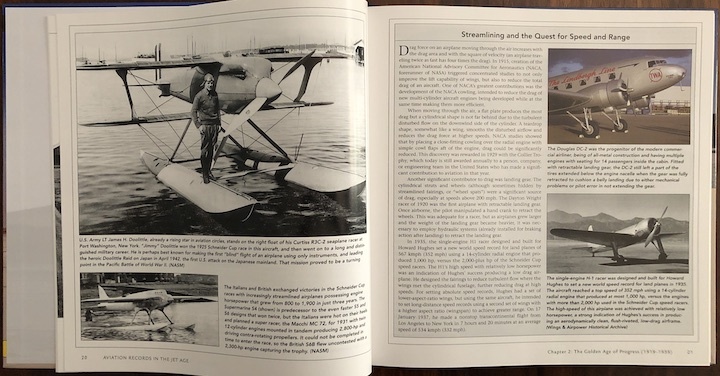 The photos are of good quality, very well reproduced, and exhaustively captioned—your typical Specialty Press treatment. 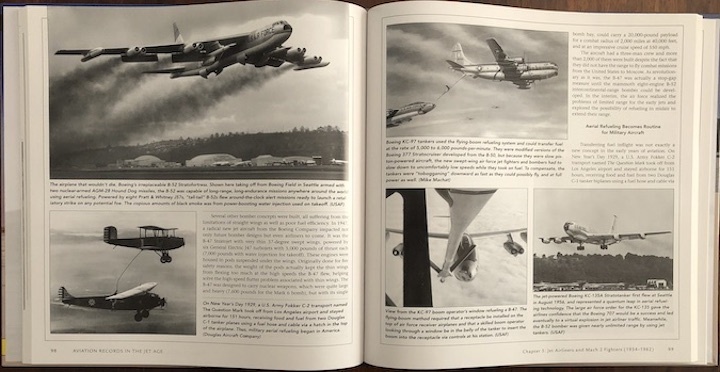 Much of what takes place at the edge of the envelope can’t be photographed because no one else is there so aviation author/artist Mike Machat has furnished a number of drawn reimaginings. 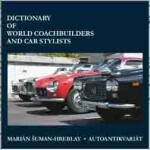 Glossary, Index, three pages of descriptive lists of significant or major speed and altitude (but not distance) records.